Blogging the lectionary is getting serious. 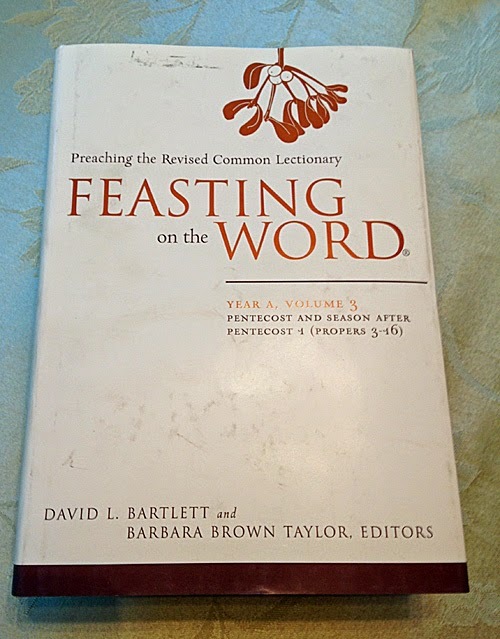 I purchased "Feasting on the Word" from Westminster Knox Press and edited by David L. Bartlett and Barbara Brown Taylor. 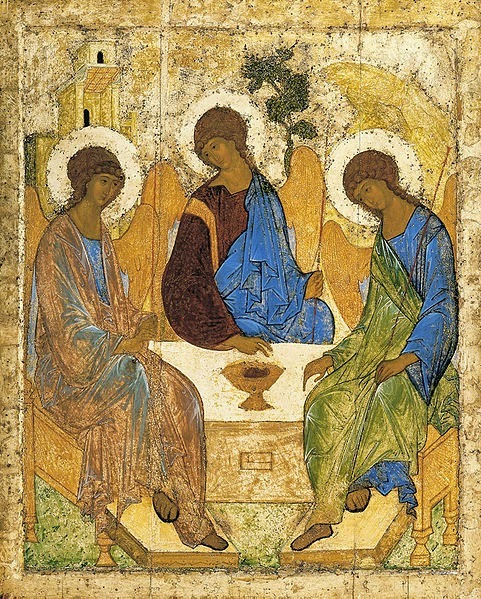 I was going to write of my knowing of the Trinity from childhood until now, a sort of spiritual autobiography from my view of a God who protected yet Who I foremost saw as judge, a Jesus who was a human prophet, a Holy Spirit that was a bit too woo-woo for me -- to this wonderful threefold Divine blessing in my life. Talk it out with one you love. Pray, even when you don't see the point. Uncover how your story and God's intertwine. I think what is known as the Athanasian creed says it all about what the Trinity is. Repeatedly. The whole creed could be summed up by one line of it. The Father incomprehensible, the Son incomprehensible, the Holy Spirit incomprehensible. Any more is banging your head against the wall. This creed drives me nuts with its belaboring a description of God who is ultimately beyond our comprehension even as we yearn to be in relationship. My learning this week is that Athanasius didn't write the creed. It is not clear who did. Y'all know that the name of Holy Spirit is in the feminine, right? Ruach in Hebrew? No? Last week, I started using "she" instead of "he" when reciting the Nicene Creed in church. With the Father and the Son she is worshiped and glorified. She has spoken through the Prophets. It's okay. I'm pretty sure the choir microphones are off for that part.